I’ve started a new tradition. I’m not shaving between Thanksgiving and the end of the year. This gives me an annual chance to appreciate just how gray my beard is getting. I’d say I’m about 50% gray at this point. Then, on New Year’s Day, I’ll shave it clean and get a fresh start. 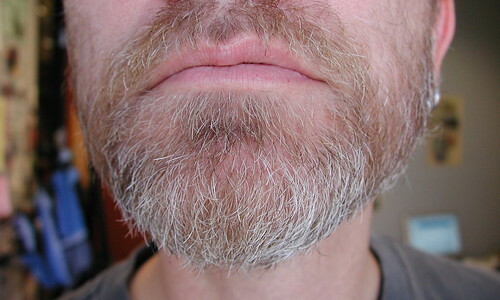 Footnote: I do have to shave my throat to make it look like a beard and not just scraggly. Where’s Sweeney Todd when you need him? I got sheared last night by my niece – her first time cutting my hair, so given that there was a small dosage of terror present. After a few OWs, I looked years younger and felt pounds lighter. At this point in my life I have snow on the roof and the basement. And I think it’s true, if you pull one gray hair ten will take its place. Of course for me over the years their numbers grew exponentially! Yi.